Blues returned to their backup home of the CSA, thankfully no gales this week and a pleasant Spring morning. Unbelievable start for the Blues as Morgan grabbed a hat-trick within the first 10 minutes but in some ways that start didn’t seem to help the boys as they completely took their foot off the accelerator and for the next 30 minutes Binfield were the better team scoring after 17 minutes and nearly pulling it back to 3-2, the Blues just couldn’t get going again. Thankfully a ball by Miller through to Joseph made it 4-1 just before half-time. Second half continued much like the first and in the first 10 minutes Binfield pulled another goal back with a wicked free kick from wide on the left. 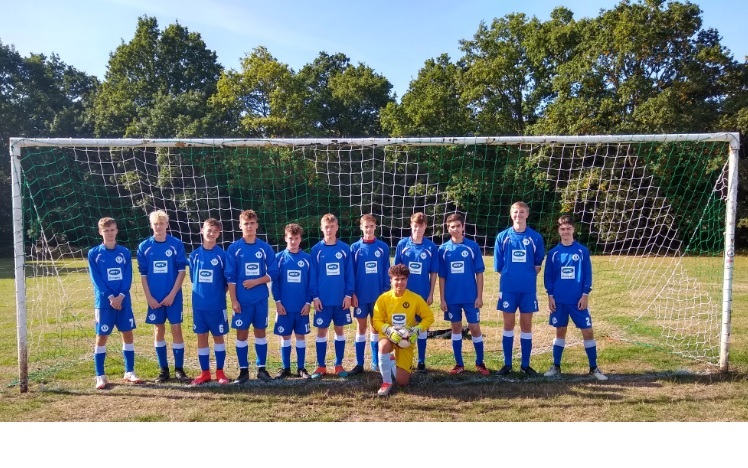 As the half continued the Blues slowly got going again with Will G providing a bit of impetus from the back and Tom making some of his great runs, Archie and then Tom broke through and finished really well to make it 6-2 and in the end a comfortable win. MoM this week was Will G who after his usual commanding start in goal provided a much needed bit of drive when out of goal.